Drones are also known as Unmanned Aerial Vehicle (UAV) or Remotely Piloted Aircraft (RPA). Since ancient time, men had been toying with drones. The most famous one was the kites. Kites are not only used by children as plaything but it was also used for military purpose. In ancient China, kites were used for warfare. Soldiers drew fierce looking characters on their kites believing it will scare their enemies. During the Second World War, the German used the V1 and V2 rockets to bomb British cities, and this weapon was actually drone. The importance of drones were manifested during the battle against Taliban and Al-Qaeda forces in Afghanistan since the early 2000 until today. Drones are very useful military weapon especially for intelligence gathering and special operations. At the Battle of Tora Bora in the Afghan mountains, the terrorists cannot even carry any soft drinks canned in metal because the drones can detect their presence. Nowadays, drones are not only used for military purposes, but also as civil applications, such as for police works, firefighting and rescue, and also useful for commercial activities such as for Real Estate Agents. 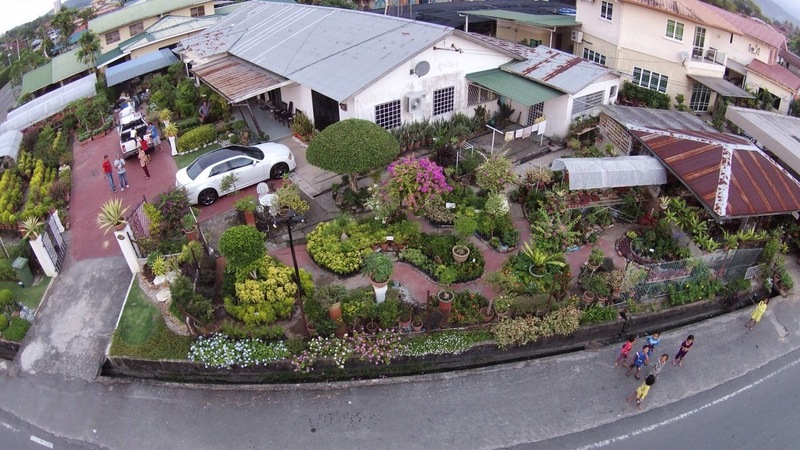 My uncle brought his drone from Brunei and he took the whole bird-eye view of the Likas Bay, including Kampong Likas. 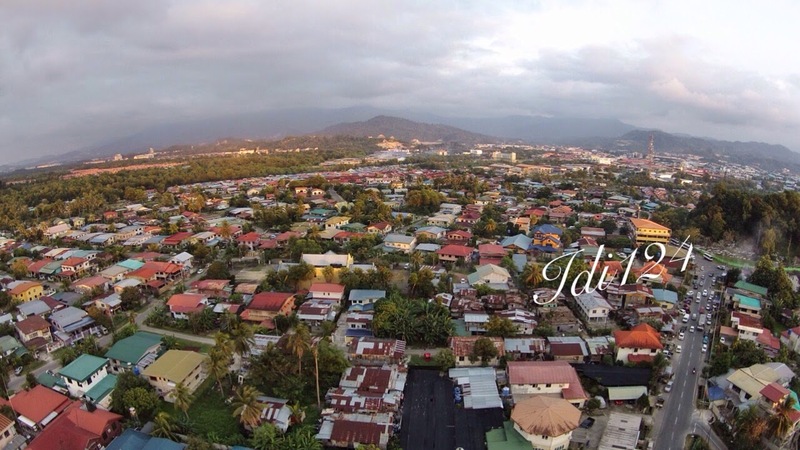 Likas is located about six miles from the Jesselton (Kota Kinabalu) city center. Located in this vicinity is the beautiful City Mosque (Mesjid Bandaraya), Likas Lagoon Park, and the wonderful jogging track that stretches from Tanjung Lipat right up to the Tun Mustapha Tower. 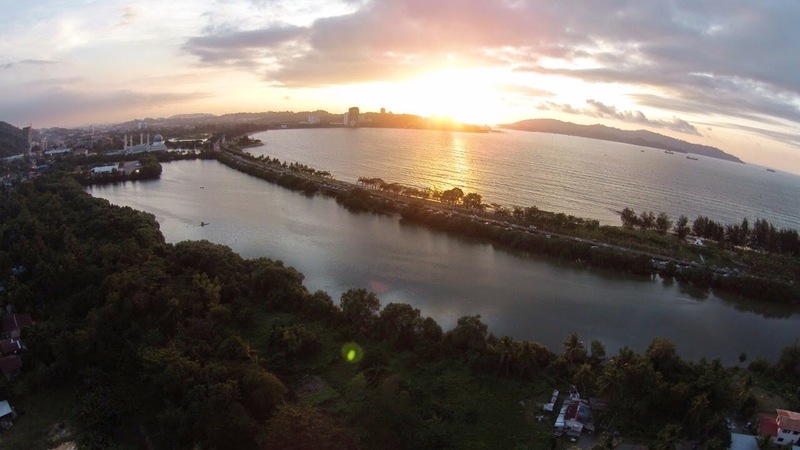 The first picture is the drone just taking off, the second shows the bird eye view of the whole Kampong Likas and the third picture is showing Likas Bay during sunset. The views is so magnificent and truly wonderful.